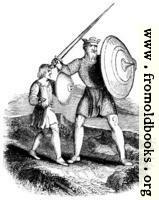 190.—Arms and Costume of an Anglo-Saxon King and Armour Bearer. A King brandishes a sword; he holds a large shield. 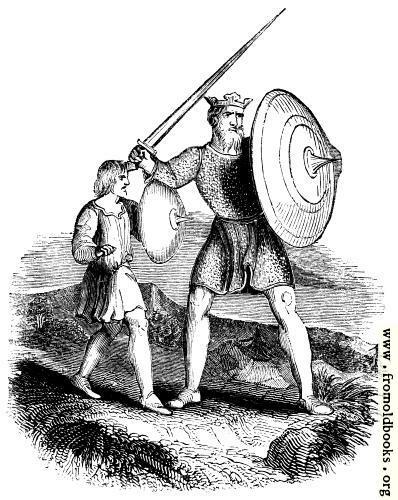 At his side and slightly behind him, a boy or young man has a smaller shield.